Barre Chords Explained! They're Super Easy! Barre chords are difficult because, when you first learn them as a beginning guitarist, you have to hold down all of the strings. Holding down all the strings is tough because there’s a lot of tension, and playing these chords closer to the headstock is even more complicated because the strings are tighter and the frets are more spread out. If you have trouble playing barre chords, watch the video below where Anders will show you how to break them up so they’re a bit easier to play. A barre chord is a chord which involves the index finger barred across five or six string at the same fret essentially creating a new nut. This type of chord which use six strings are based on the E major and E minor chords. The barre chords which only use five are based on A minor and A major. These shapes are moved up and down the neck to play other major and minor chords. 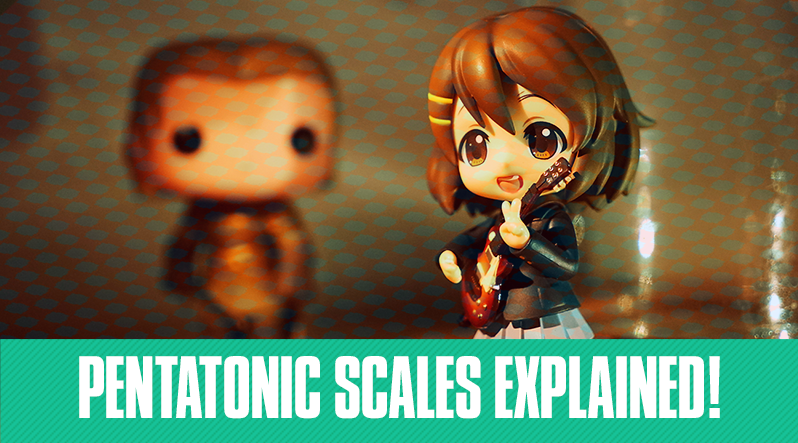 You can always brush up on your guitar vocabulary by using the glossary here. For the sake of this blog post, we’ll focus on the E major and E minor barre chord shapes with the root note on the 6th string, or the low E string. Remember, if you want to take a look at chord charts, they're always available here. First, let’s take a look at the E major shape. It looks like this: As you can see in the image above, this chord is played right at the first fret. All of the strings are played in this chord. If you think about it, it’s like a barre chord because the guitar’s nut acts as a finger. If you move the entire E major shape up one fret and then use your first finger to hold down all the strings on the first fret, you’ll make an F major barre chord. It should look like this: It’s an F chord because the root note is on the F, which is on the first fret of the six string, or low E string. If you move that entire shape to another position, that will change the root note of the entire chord, essentially changing the chord entirely. Remember: the barre chords that use this shape will always be major. 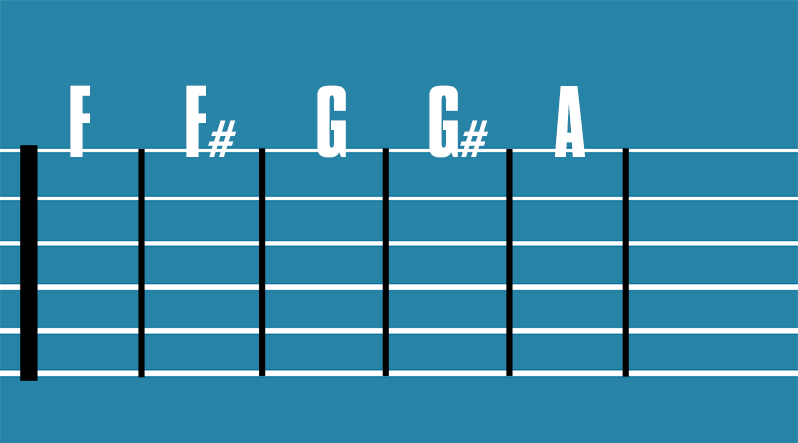 Use this guide to find the root notes based on the E string. For example, if you play that same chord shape on the third fret, it’s a G major. It looks like this: If you move it to the fifth position, it will become an A major and so on and so forth. That’s how you play major barre chords using the E major shape. 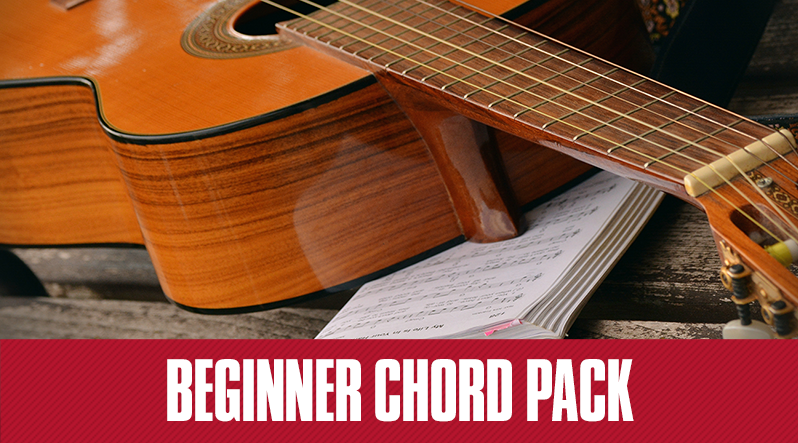 Let’s take a look at how to turn these barre chords we just learned, into minor barre chords. It’s super easy. First let’s examine the A major barre chord again, but this time, let's compare it to what an A minor chord looks like. As you can see from the above comparison, the biggest difference between the major and minor barre chords is that the note played on the G string is different. In a minor barre chord you lift your second finger, allowing your index finger (first finger) to hold down all three treble strings, the G, the B, and the high E string. And in major barre chords your second finger is being used to hold down the G string, in this case, the 6th fret of the G string. The minor chord shape is based on the E minor open chord, because if you play a standard E minor open chord, the nut, again, acts as a hypothetical bar. For example, if you move the A minor chord shape all the way back to towards the head stock, you'll create an E minor, which looks like this: Just like the major barre chord shapes, the minor barre chords are also moveable. For example, if you play the minor barre chord shape on the 3rd fret, it's a G minor chord, and if you play it on the 1st fret, it's an F minor chord. That's it! 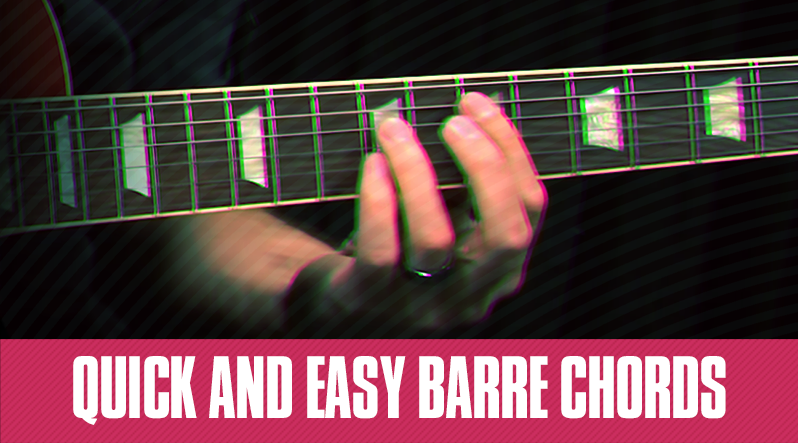 For more on Barre chords, be sure to watch this video in our Rock Level 1 course, on how to use these chords in rock! Be sure to also check out our lesson on these wonderful chords in our Guitar Fundamentals course here.